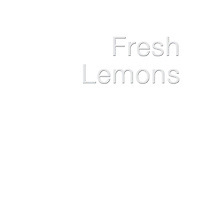 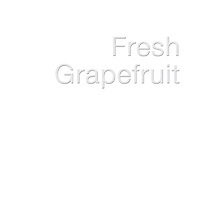 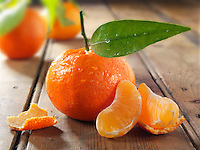 Professional citrus Fruit royalty free food pictures, photos. 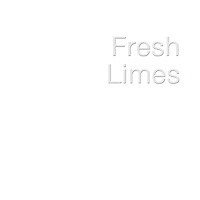 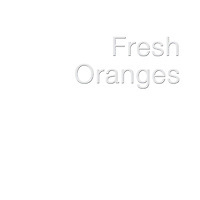 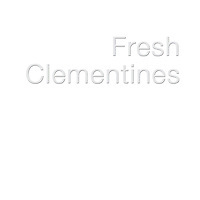 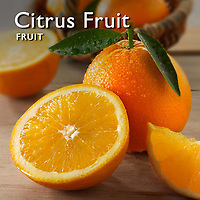 Citrus is a common term and genus (Citrus) of flowering plants in the rue family, Rutaceae. 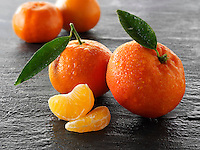 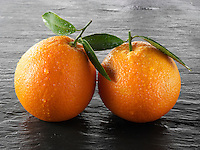 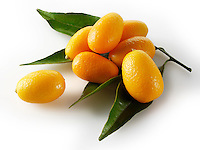 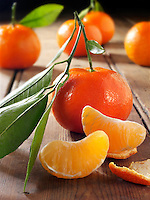 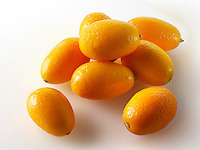 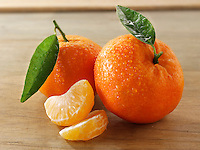 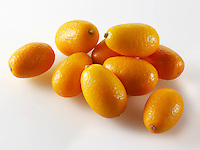 Citrus is believed to have originated in the part of Southeast Asia bordered by Northeastern India, Myanmar (Burma) and the Yunnan province of China. 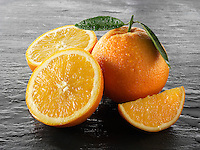 Citrus fruit has been cultivated in an ever-widening area since ancient times; the most well known examples are the oranges, lemons, grapefruit and limes. 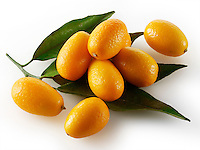 These plants are large shrubs or small trees, reaching 5–15 m tall, with spiny shoots and alternately arranged evergreen leaves with an entire margin. 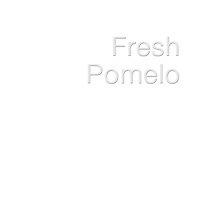 The flowers are solitary or in small corymbs, each flower 2–4 cm diameter, with five (rarely four) white petals and numerous stamens; they are often very strongly scented. 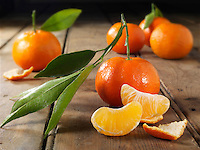 The fruit is a hesperidium, a specialised berry, globose to elongated, 4–30 cm long and 4–20 cm diameter, with a leathery rind surrounding segments or "liths" filled with pulp vesicles. 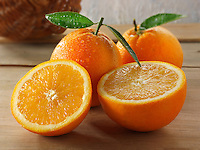 The genus is commercially important as many species are cultivated for their fruit, which is eaten fresh, pressed for juice, or preserved in marmalades. 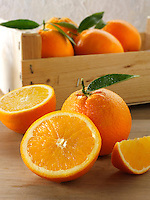 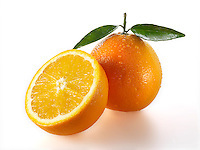 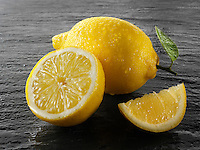 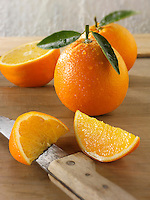 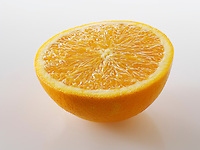 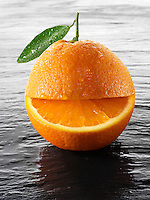 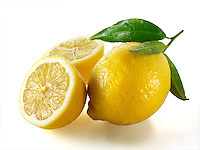 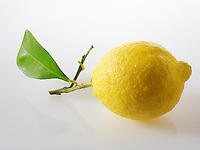 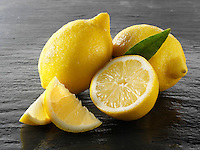 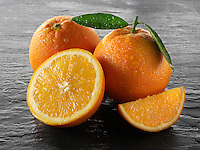 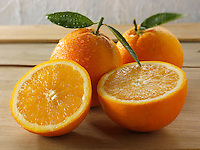 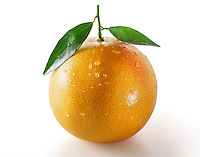 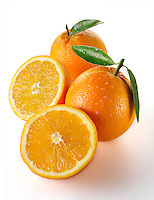 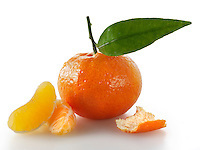 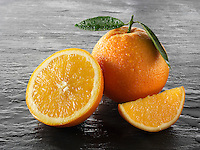 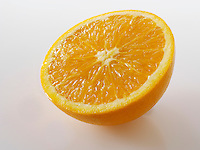 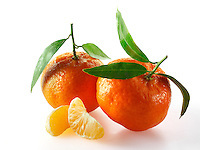 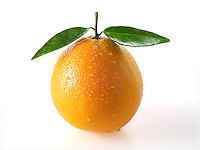 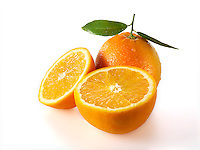 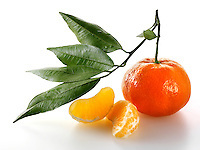 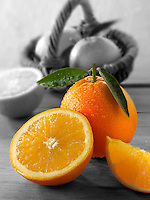 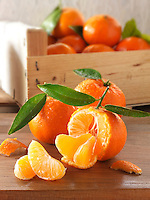 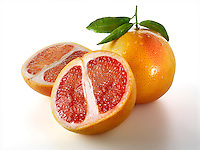 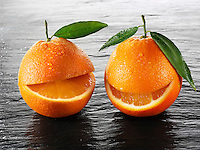 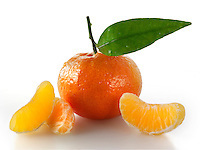 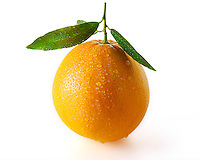 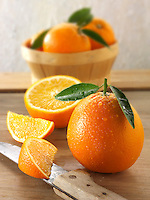 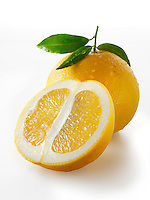 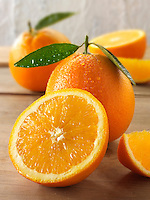 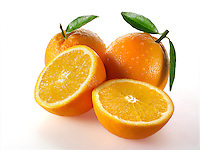 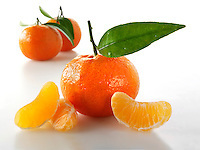 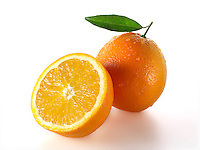 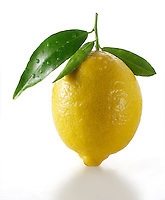 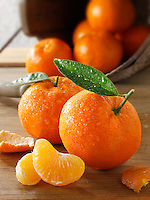 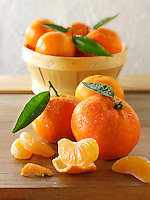 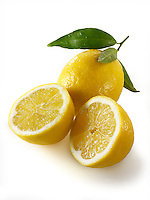 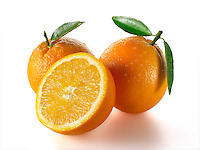 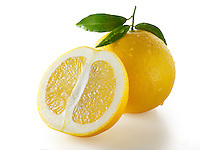 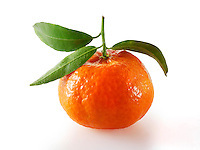 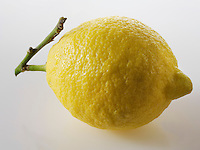 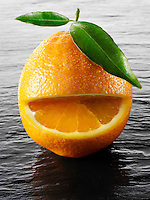 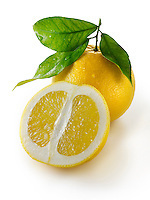 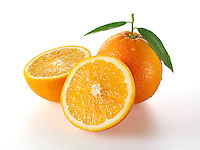 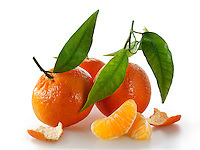 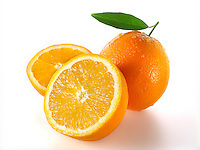 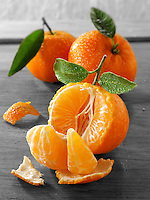 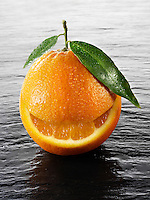 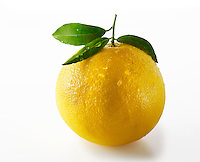 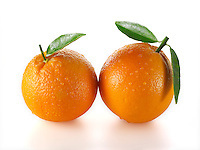 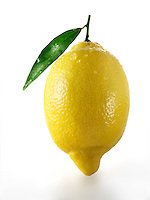 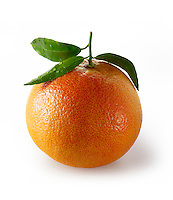 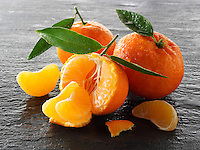 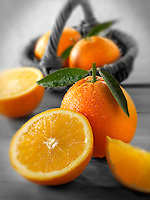 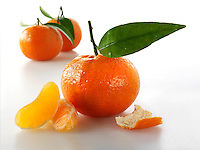 Citrus fruits are notable for their fragrance, partly due to flavonoids and limonoids (which in turn are terpenes) contained in the rind, and most are juice-laden. 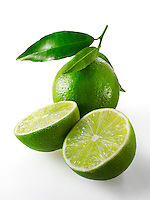 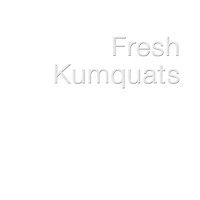 The juice contains a high quantity of citric acid giving them their characteristic sharp flavour. 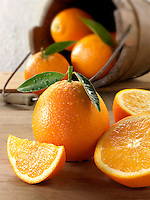 They are also good sources of vitamin C and flavonoids. 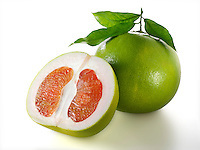 The pomelo (Citrus maxima or Citrus grandis) is a citrus fruit native to Southeast Asia. 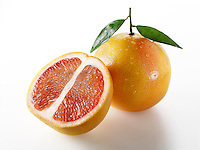 It is usually pale green to yellow when ripe, with sweet white (or, more rarely, pink or red) flesh and very thick pudgy rind. 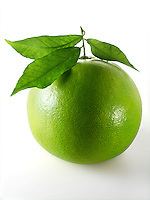 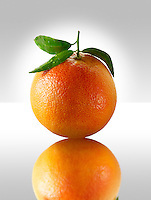 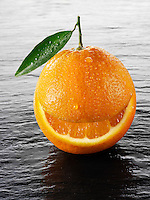 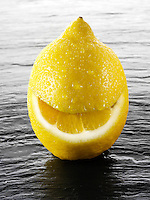 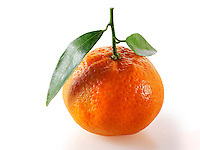 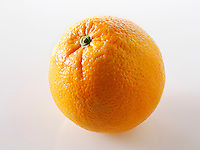 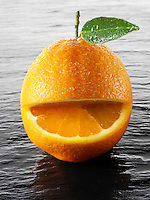 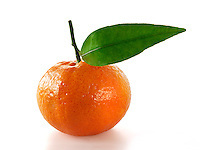 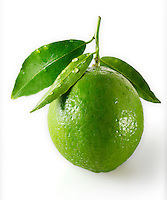 It is the largest citrus fruit, 15–25 cm in diameter, and usually weighing 1–2 kg. 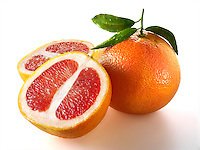 Other spellings for pomelo include pummelo, and pommelo, and other names include Chinese grapefruit, jabong, lusho fruit & pompelmous. 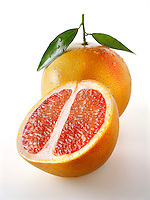 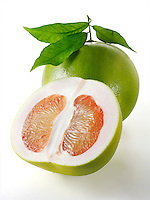 The Chandler is a Californian variety of pomelo, with a smoother skin . 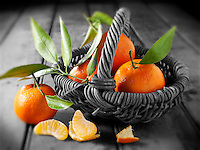 buy as high resolution stock royalty free images or download on line or buy as photo art prints.